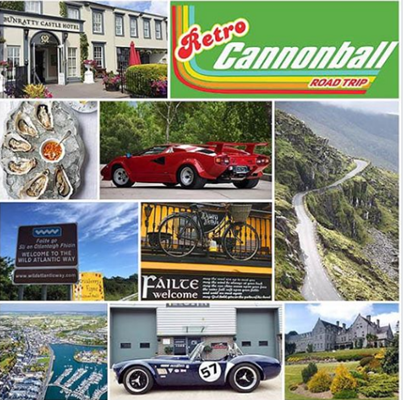 We can now confirm that the start-line for Retro Cannonball is Kinsale at 10.30am on Friday July 12th 2019 taking in The Healy Pass, Molls Gap, Dingle, Slea Head, Conor Pass, Tralee and Bunratty Castle. Fantastic mix of Ireland’s most charming coastlines, world-famous Rally favourites and mountain passes. Over 80 cars from the 60s, 70s and 80s will arrive in Kinsale on Thursday July 11th and depart on July 12th 2019.